Successful Tropical Landscaping not only includes choosing the most appropriate species for a specific area, but also making sure to add plenty of color and even water features. Along with that, a gardener or homeowner must plan properly and include features that make the plants stand out. Those who live in borderline climates may have to make some additional concessions for cold-sensitive plants. 0.1.1 For those living in climates that sometimes get cold enough in winter to get below freezing, tropical landscaping includes an additional set of challenges. To maximize the beauty of tropical landscaping, it is best to add a mixture of plants that will produce not only a lush green environment, but also a splash of color. 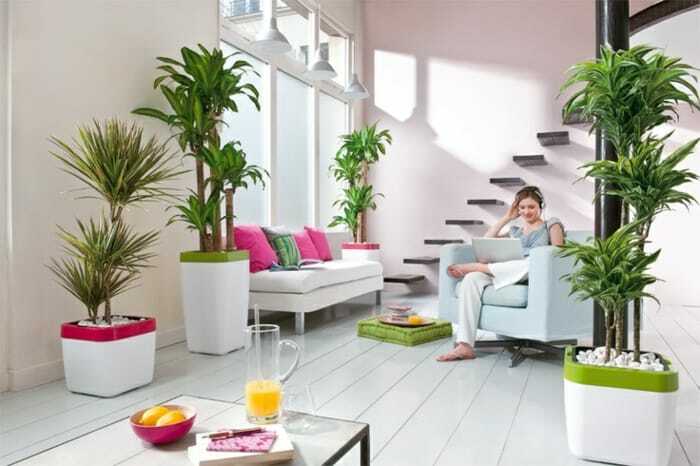 Tropical plants often produce a strong contrast in color, which makes them very popular. Accomplishing this is easy in Florida landscaping and other locations where the climate is similar to Florida’s. Fruit trees, especially citrus, can add that contrast when in bloom and when the fruit is ripe. Birds of paradise, orchids and other tropical flowers provide color as well. A distinctive feature that could make Tropical Landscaping stand out from other landscaping in the area is a water feature. While waterfalls in a tropical setting provide another eye-catching feature, smaller ponds with fish or colorful aquatic vegetation can also capture interest. Tropical water lilies, lotus and floating plants are especially popular in Tropical Landscaping settings and help provide that color contrast. For those living in climates that sometimes get cold enough in winter to get below freezing, tropical landscaping includes an additional set of challenges. Try to choose cold-hardy palm species, such as saw palmettos, (Serenoa repens). Also, it may be possible to use slower-growing and smaller palm species, such as the pygmy date palm (Phoenix roebelenii), to provide the tropical look. In climates where freezes can be expected regularly, some of these plants can be potted and brought indoors to protect them from the colder weather. In other locations, planting cold-susceptible species near a building’s south-facing wall provides some additional protection. From a botanical standpoint, choosing native species is always better than choosing introduced species. Native species are more likely to be adapted to local nuances, such as soil conditions, temperature, and precipitation patterns. Therefore, gardeners should not need supplemental watering and fertilizing as much if they choose species intended for the area. In some cases, though, when seeking a tropical design, non-native species will be needed. One thing that is often ignored in tropical landscaping is inanimate features, such as stonework, paths, sculptures and furniture. Choose colors that complement your existing landscaping, and which are either neutral in tone, or provide a contrast with what is already there. In other words, do not choose features that simply blend into the environment.